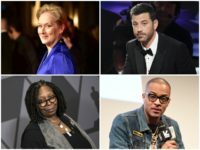 Speaking at An Evening with Stephen Colbert at Newark’s New Jersey Performing Arts Center Saturday, Oscar-winning actress Meryl Streep insisted that she is “scared” in Donald Trump’s America. 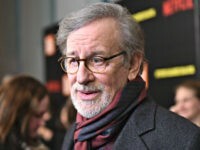 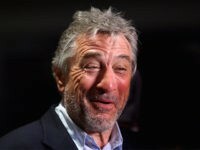 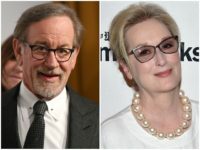 A new report reveals just how deeply Hollywood celebrities from Steven Spielberg to Jack Black are getting involved financially to help elect Democrats in the upcoming midterm. 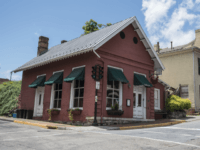 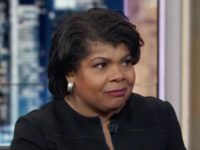 President Donald Trump trashed a restaurant in rural Virginia after the establishment’s owner refused to serve Sarah Sanders and her friends on Friday. 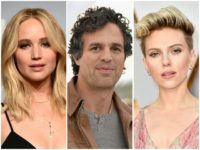 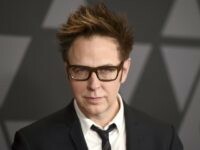 Street artist known as Sabo is trolling celebrities ahead of Sunday’s Academy Awards, erecting three billboards that send searing messages to a town whose most powerful men have been accused of decades of sexual abuse. 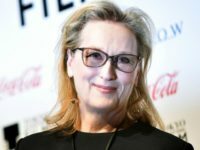 Actress Meryl Streep has applied to trademark her own name, according to reports. 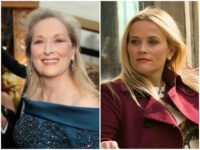 Meryl Streep is starring in season two of “Big Little Lies,” adding more woman power to the Nicole Kidman-Reese Witherspoon drama. 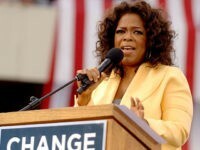 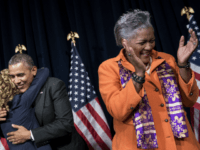 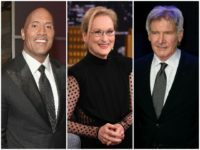 Actress Meryl Streep has made a number of suggestions over potential Cabinet members for an Oprah Winfrey presidency, including fellow actors such as Tom Hanks, Harrison Ford, and Dwayne ‘The Rock’ Johnson. 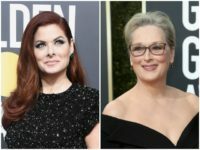 A-list actresses including Meryl Streep, Susan Sarandon, Emma Stone, and Laura Dern will bring activists along as their guests to this Sunday’s Golden Globes, in a year in which the entertainment industry’s sexual harassment scandal and the #MeToo movement have dominated the conversation. 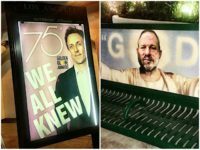 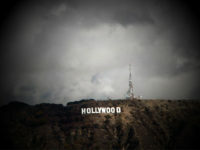 Street artist Sabo has apparently trolled Hollywood celebrities arriving for Sunday night’s Golden Globes in Los Angeles with artwork implying that many of them knew about widespread allegations of sexual misconduct in the entertainment industry, and did nothing to act. 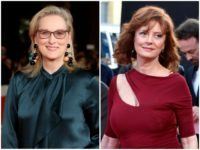 To deflect away from her own culpability in the matter of Harvey Weinstein (a man she declared “God”), disgraced actress Meryl Streep attacked First Lady Melania Trump and President Trump’s daughter Ivanka over their “silence” regarding Weinstein. 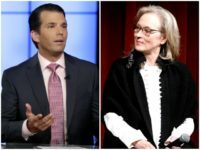 A baffling and desperate act that Donald Trump Jr. ridiculed using his Twitter account. 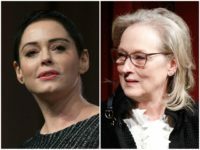 Actress Meryl Streep lashed out at Melania Trump and Ivanka Trump in a New York Times interview published Wednesday, accusing the first lady and White House senior advisor of remaining silent about sexual misconduct. 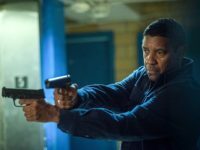 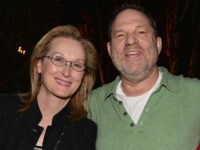 With a dismal 58 percent disapproval rating, Meryl Streep is in worse shape than President Trump, a man she smeared with provable lies. 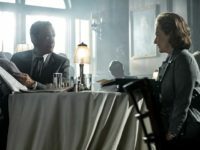 Veteran actor Tom Hanks said he sees similarities between President Donald Trump’s treatment of the press and that of Richard Nixon, and said he wouldn’t attend a White House screening of his new freedom of the press drama The Post if invited. 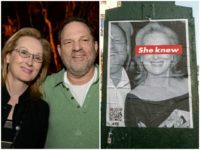 Posters taking aim at actress Meryl Streep over her working relationship with disgraced movie mogul Harvey Weinstein have apparently popped up around the Los Angeles area this week. 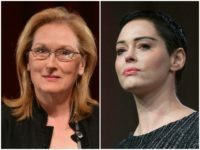 Meryl Streep fired back at Rose McGowan in a defensive statement Monday, days after McGowan accused Streep of remaining silent about Harvey Weinstein’s abusive behavior when she previously worked with him. 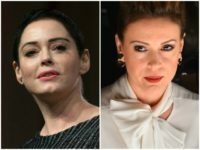 Rose McGowan has blasted her fellow actresses’ plans to wear all black dresses to this year’s Golden Globes as a show of solidarity and protest amid Hollywood’s ongoing sexual misconduct scandal. 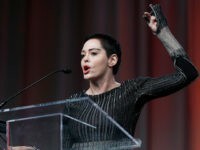 Rose McGowan called out fellow actress Meryl Streep on social media Friday after the latter described the dozens of sexual misconduct allegations against Hollywood producer Harvey Weinstein as an “example of disrespect” during a women’s conference in Boston this week.